Because of its small footprint, energy efficiency, and reasonable computing power, the Raspberry Pi makes an excellent server. You can spin up a Raspberry Pi media server using the likes of Plex, Emby, and OpenMediaVault, or a web server running WordPress, Drupal, Apache, or NGINX. Similarly, you can make a Python web server with a Raspberry Pi and Flask. 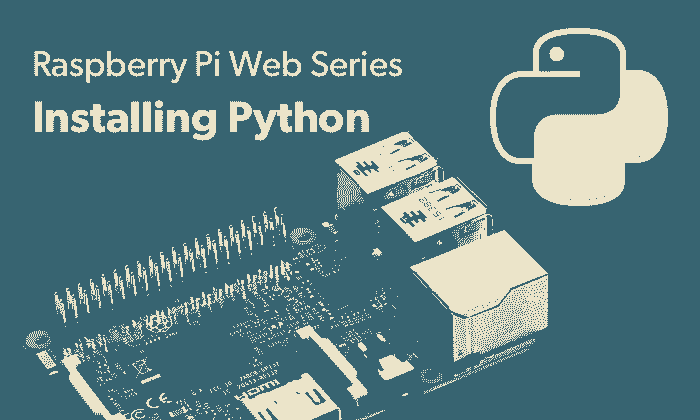 Learn how to build a Raspberry Py Python web server! Learn about building servers, IoT projects, and more on Electromaker.io! Python is a programming language. It's used for creating web applications and desktop apps alike. A general programming language, Python remains one of the top programming languages for beginners. Combined with Flask, a Python microframework, you can make your own Python-powered web server. Total cost: $35+ USD. Chances are you may have most of the components for this project at home. You will need a Raspberry Pi which you can snag for around $35 standalone or opt for a kit with Pi, case, microSD card, and power supply. All software and your operating system (OS) are free. Under the menu, open Python. Using File > New file open up a new window, and save it as app.py within the pythonwebapp project folder you just made. In a browser, head to http://127.0.0.1:5000/ and you should see a screen with the words "Hellow world." You may also use http://localhost:5000/. and you'll see the text you entered after "return." Save that as index.html under the templates directory under the pythonwebapp directory. Save the file, and reload http://127.0.0.1:5000/ and you'll see whatever text was in your HTML template. Save that HTML file, refresh your web page, and you should see the same text but with updated coloring. Overall, a Python web server with Flask running on a Raspberry Pi is ridiculously simple to create. It's easier than spinning up a Drupal or WordPress server, and about on par with making an NGINX server. A Python-based Raspberry Pi server may be as complex or barebones as you like. Using HTML and CSS, you may spice up your site, and it's easy to add new routes. What are you running on your Raspberry Pi?